SUNLIGHT flickered through the forest canopy and danced across my dashboard. My girlfriend sat beside me, her legs hanging partway out the passenger-side window. 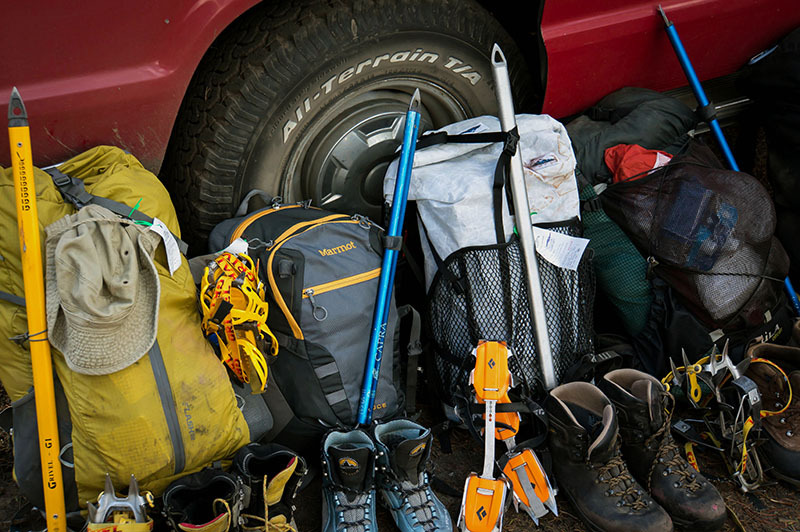 Three friends were in back and surrounded by gear and provisions for a few days in the wild. 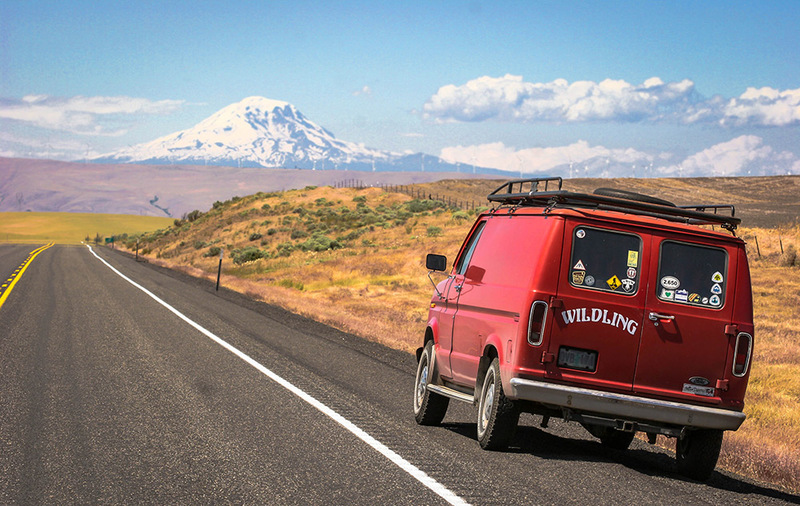 It was road trip season, and we had our sights set on Mount Adams, a 12,281-foot volcano in Washington State. The road to the start of the climb is buried by snow for much of the year, and it is notoriously rough when it’s not. But my new tires, the All-Terrain T/A KO from BFGoodrich, never slipped. They pulled us over the sand and ruts and made short work of the rugged and narrow switchbacks that climbed to Cold Springs. With two gas tanks, plenty of ground clearance, and a great set of tires, the van was well equipped to go where many vehicles could not. We began our climb just under treeline the following morning in a forest that was slowly recovering from a large burn. We remembered that fire well. We had raced north through the smoke that September in 2012 on our way to Canada on the Pacific Crest Trail, just barely beating the closures in the Mount Adams Wilderness. For this trip, we carried enough supplies for two days on the mountain, but hoped to be down in one. The group was a fit enough bunch — thru-hikers and a marathon runner — so we knew we were physically capable. But above 12,000 feet the weather would decide the rest. The lower mountain was an easy go, a long slog through the burn and up over the treeline on boot-packed snow. The forecast for the trip was questionable, but the sky had been clear so far, and we enjoyed views of Mount Hood on the horizon. Mount Saint Helens was to the west. Above treeline on Adams we hiked to a saddle, the Lunch Counter. 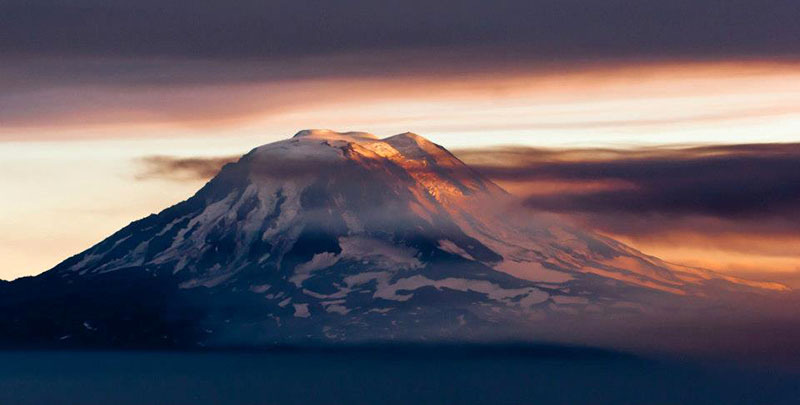 Most climbers spend their first night on the mountain there, setting up tents among hand-stacked windbreaks and dividing the 6,676-foot ascent to the summit over two days. Clouds had followed us up-slope from the south and were threatening to overtake the summit, so we had a choice to make. We had lunch, and we took short naps, and then we watched the clouds swirl around the upper peaks. I set up my tent there, and I filled it with everything I knew I wouldn’t need for a trip to the top. 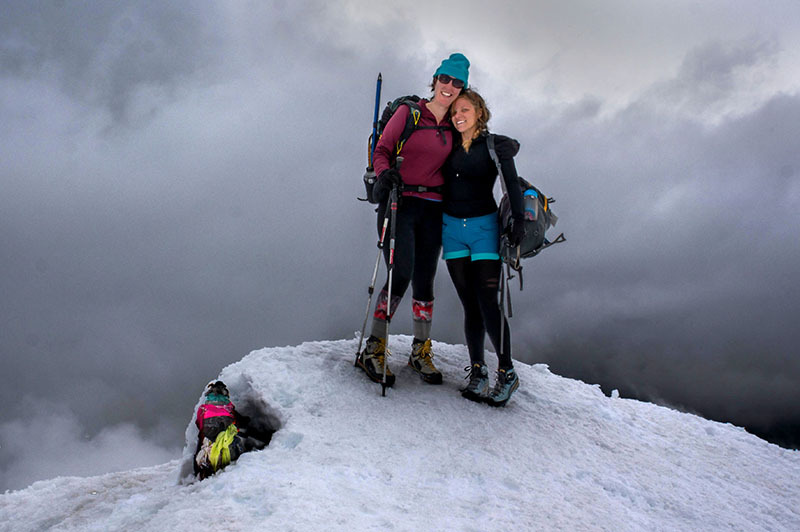 We talked about what it would be like up there now, and what it might be like up there later, and then we decided to push for the summit that day. The weather might not be great today, but it could be hell tomorrow, we reasoned. Climbing into bad weather is never a good idea, and I had not been up this mountain before. But it is an easy route as far as mountains go: no crevasses, no technical bits, just a long walk to the top, and we were well-equipped for any scenario. The summit would hide for the next few hours behind a false summit called Piker’s Peak; and Piker’s would come in and out of hiding itself as the clouds got caught on its mass. As we went up I told stories of my climbs on other mountains, and I kept a nervous eye on the worsening conditions above. I had been in this position before just below a summit when the weather came in, and I knew how quickly things could get out of hand, how hopeless a person could feel in a whiteout, and how cold it could get if you had to stop moving. I warned the group about “summit fever”… but then I watched them all catch it. The clouds were getting thick, and dark, and heavy. 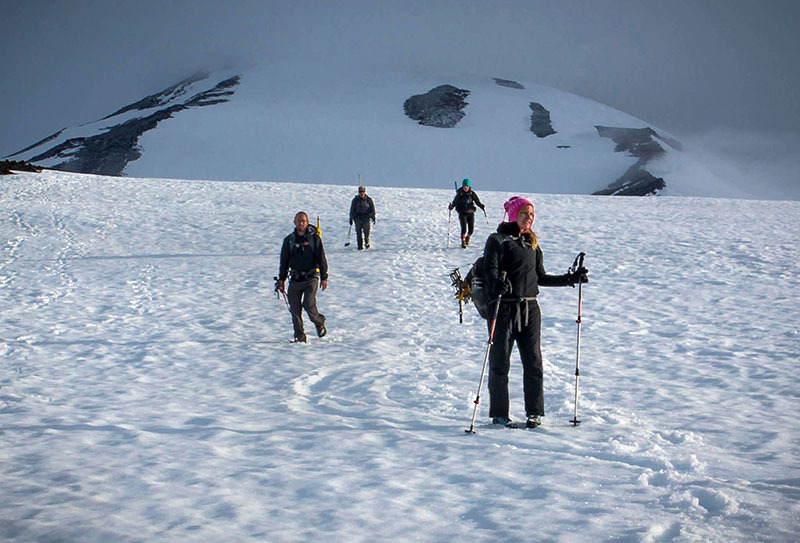 Visibility was low, and snow began to fall, but the summit was close — just a few hundred feet according to my GPS, and the group began to race ahead. We pushed hard until the top came into view, and then we pushed harder to get there. But it was anticlimactic when we did. There was no grand view, and no great reward; we were just there, alone at 12,281 feet, and about to be overtaken by a whiteout. While my friends were congratulating each other on “making it,” I knew we still had a long way to go. We agreed to descend as a tight group, and we set out toward the closest waypoint together: the false summit we’d chased all afternoon on our ascent. The weather had fully enveloped us now, yet we made it there to Piker’s Peak with little difficulty. We were still three miles and 3,000 vertical feet from our tents down, but now my mood had improved. From Piker’s it would not be difficult to find the mountain’s infamous 2000-foot glissade chutes, and from the bottom of those it wouldn’t be far until we’d reach camp. When I found a chute, I sat in its depression and explained my plan: we would all slide down, one at a time, and when we each reached the bottom, we’d stay put until we were all together again. Then I pointed my toes, gave myself a push, and disappeared down through the clouds. What a descent! What had taken hours to climb took just minutes on my retreat, and soon I could hear my excitement mirrored in the hoots and hollers of the rest of the group, speeding down the mountain behind me. From the bottom of the glissade, we quickly found camp, melted snow for water, cooked some food, and then hunkered down for the night. 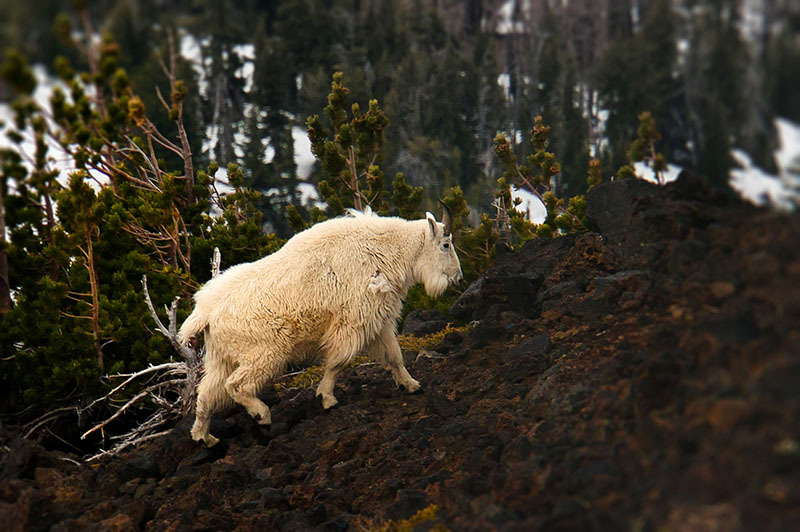 In the morning, we slid out of our warm bags, broke down camp, and continued the march off the mountain, stopping only once to photograph a mountain goat that we’d spotted from above. Within an hour, we’d be packing up the van. We needed those new BFGoodrich tires to get down the rough road. One hour later we’d be celebrating the success of our trip with well-deserved huckleberry milkshakes in the town below, relieved to be out of the storm, happy to have climbed Adams in the nick of time. GearJunkie's "Real World Test" series, sponsored by BFGoodrich, covers adventures off-road and off the trail. 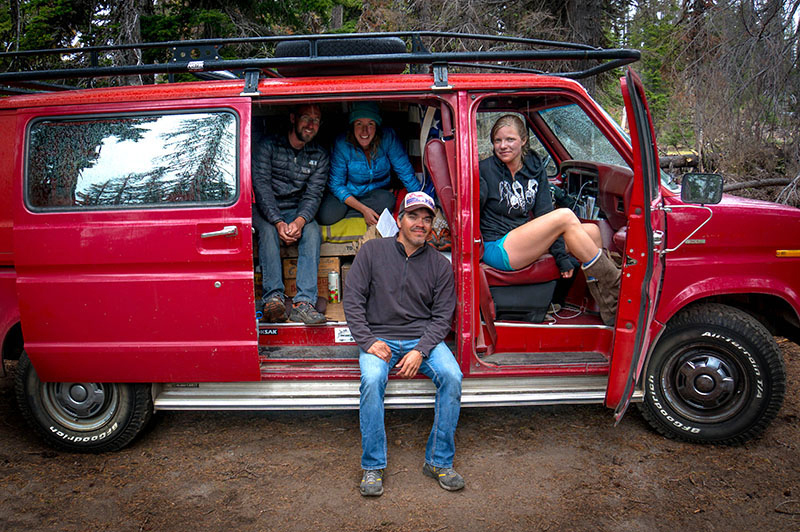 See the second story in the series, "4x4 Roadtrip 'Up North'." BFGoodrich Tires "makes tires for people who want more control and more fun from their vehicles." 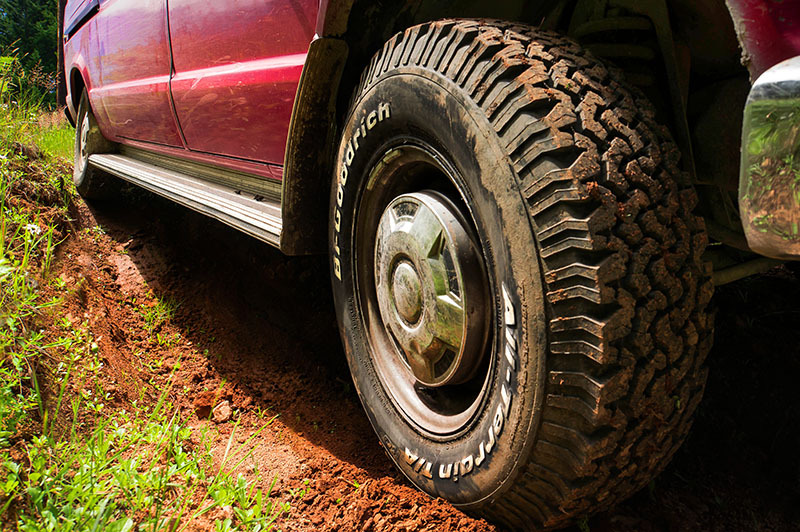 For Mount Adams, BFGoodrich provided the author with the All-Terrain T/A KO tires. The tires took the crew up a "notoriously tough" road to the base of the climb. 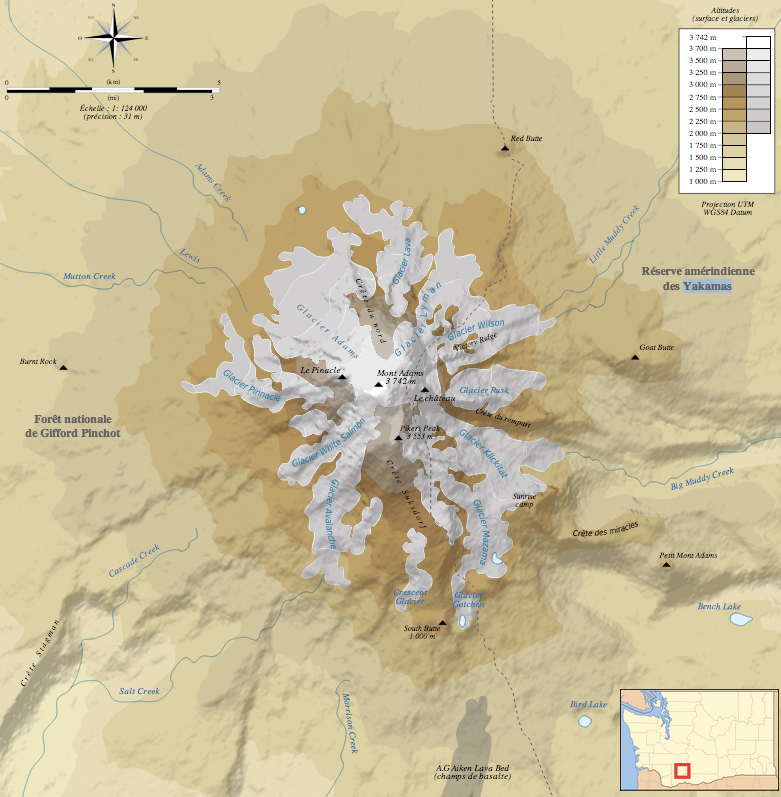 The Mountain: At 12,276 feet, Mount Adams is the third-tallest mountain in the Cascade Range after Mount Rainier and Mount Shasta. With 85 cubic miles of volume, Adams is the second-largest in the Cascades -- it's an immense mountain. 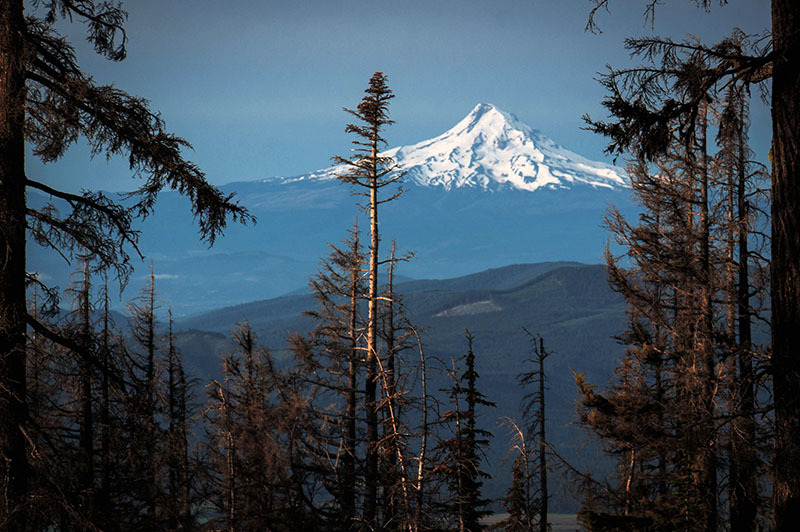 Though it hasn't erupted for 1,000 years, Adams is an active volcano. The Climb: There are three main routes to the summit. Of those, the South Climb is the easiest and most popular. While the mountain can be climbed all year, access is limited by heavy snow from late autumn to late spring. 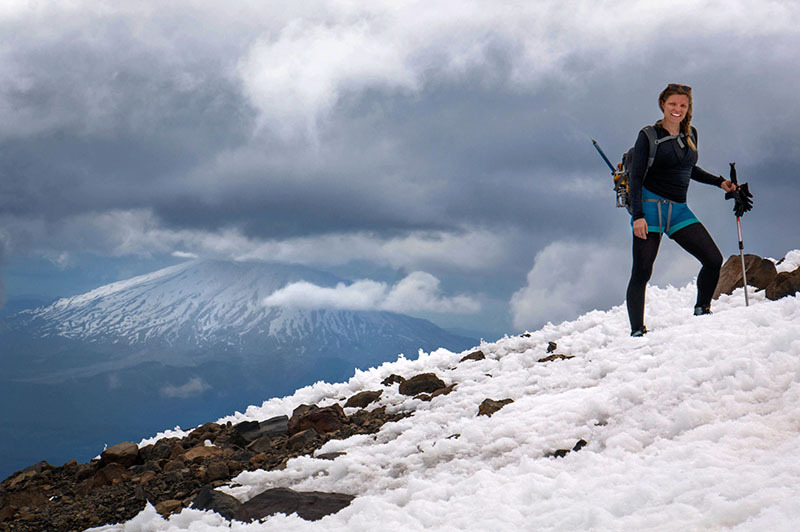 During the most popular times to climb the mountain (June 1st to September 30th) a Cascade Volcano Pass is required to travel and camp above 7000 feet. The South Climb begins on Trail #183 out of Cold Springs Campground. Permits & Passes: Passes can be obtained through the mail or in person at the Mount Adams Ranger Station in Trout Lake, Washington. $10-$15 for a single trip, or $30 for an annual pass, bring exact change. Maps & More: Maps, photos, and current conditions are available at the Ranger Station in Trout Lake. 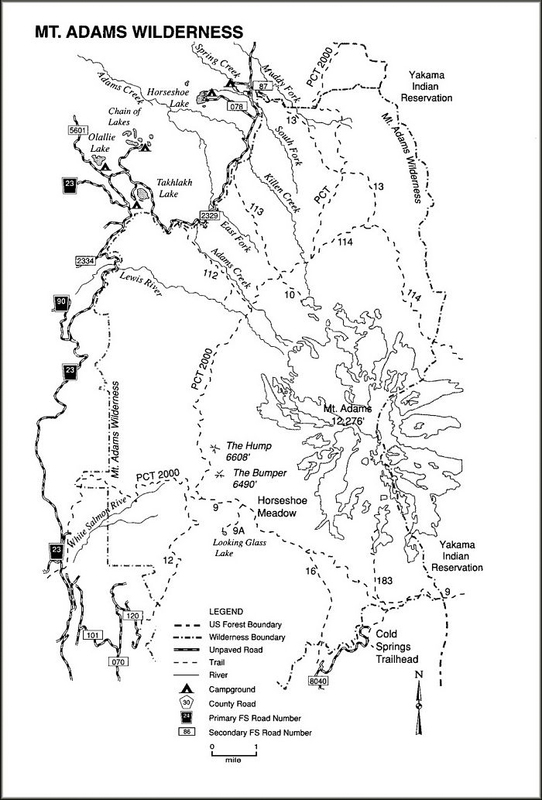 For a more detailed map, check out Green Trail Maps #367S .